Robert G. Allen's name is synonymous with financial success, and with his seminars sweeping the nation, he is now more than ever at the cutting edge of strategic wealth creation. 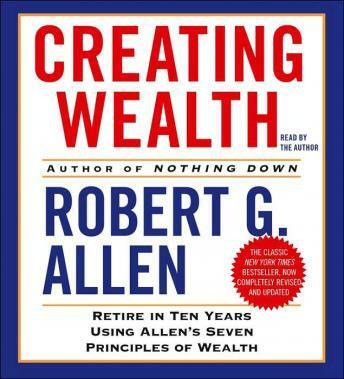 In this completely revised edition of his classic bestseller Creating Wealth, Allen gives you the basic principles that you need to stop thinking poor and start growing rich by developing a wealthy mindset. As Robert Allen has proved in his own life -- becoming a multimillionaire well before he was 35 -- it doesn't matter how much or how little money you have to start as long as you understand the right principles -- timeless principles that can make all the difference.